We love doing crafts around here. This glow-in-the-dark space craft is one of our more recent crafts as we explored glow-in-the-dark paints and stickers. 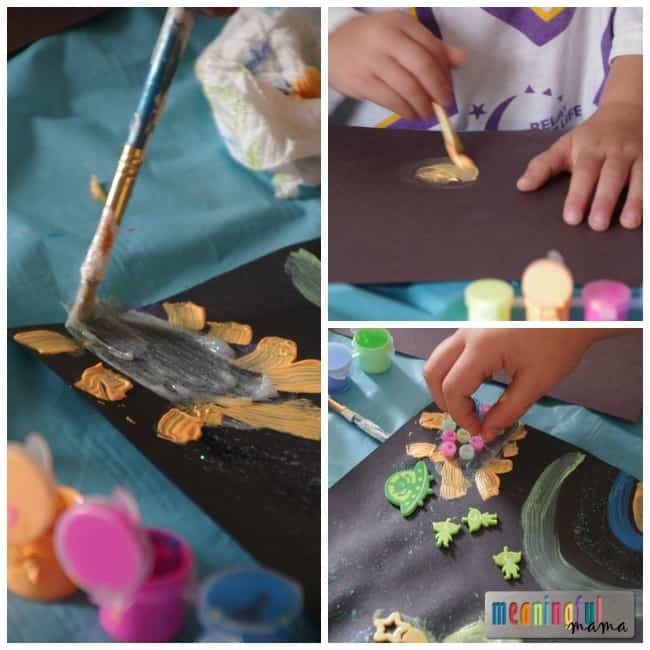 Your kids can use their imagination to make any kind of space scene they would like. You will see how their creativity played into their artwork. 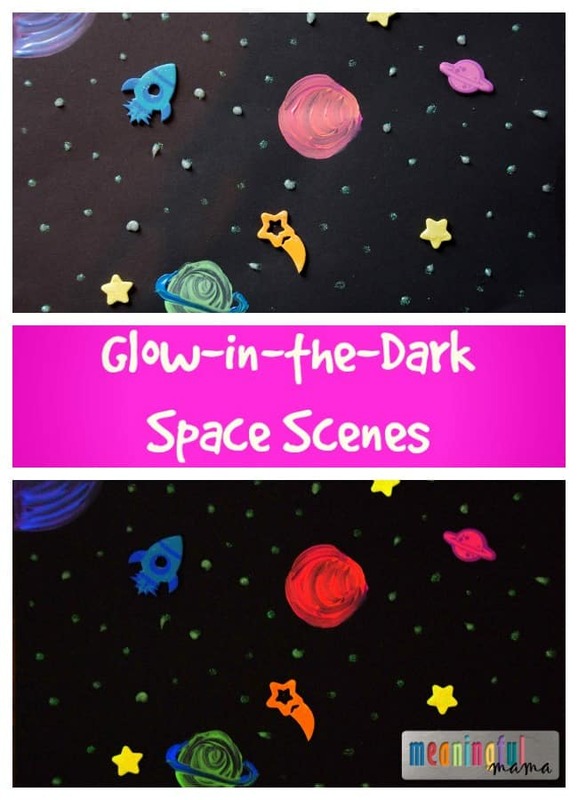 The instructions for making these glow-in-the-dark space scenes are pretty open ended. Once you have all of your glow in the dark materials, you will be able to create all sorts of creative space scenes. 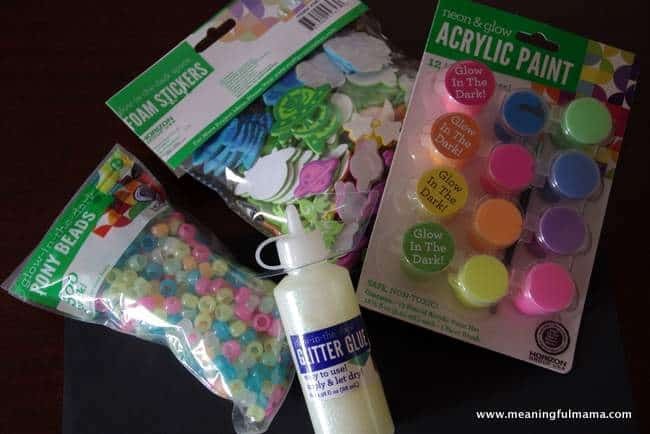 They can use glitter paint to create stars or galaxies. 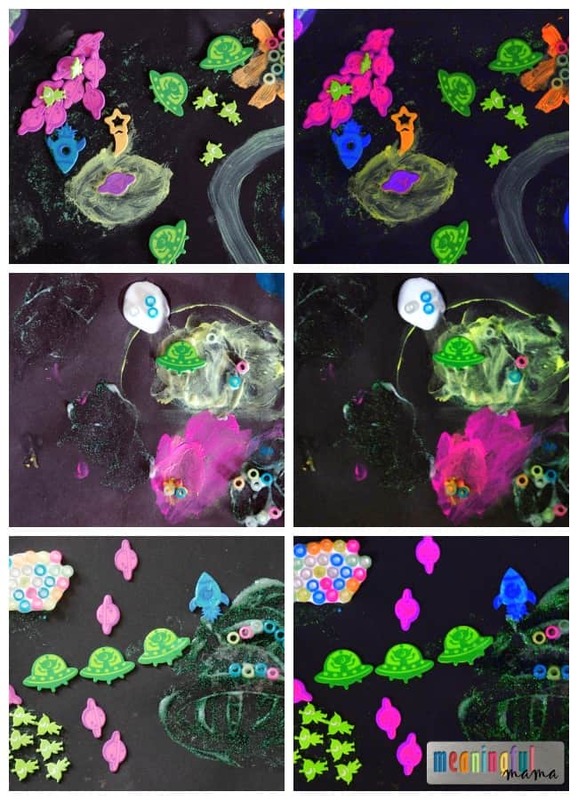 The foam glow-in-the-dark stickers can create spaceships, stars or even alien encounters. The paint can be used to make stars or planets. They’ll love inventing their own scenes on the black construction paper backdrop. Below I tried to capture the glow in the dark nature of these craft materials. The kids loved taking their pictures into the dark to see it glow.